"He ain't heavy... he's my brother" as the old Hollies song goes. You assume the families of your siblings will stay connected for at least a few generations but that is not usually the case. Thanks to social networks like Facebook and Twitter and the genealogy site Ancestry.com, we can connect with those who are more distantly related and, in the future, perhaps families will be able to maintain a connection longer. In this photo, the couple on the left are my great grandparents, Bob and Zula Castellaw, the parents of my grandmother, Elizabeth Castellaw Williams. My cousin Sandra Presley Smith connected me with another cousin, Martha Mann who was able to provide identification for the others. 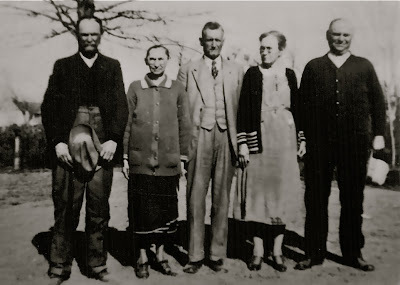 The two people on the right are my great grandfather, Bob Castellaw's sister and brother and the man in the middle is his sister's husband. His sister, Nora Castellaw Hilburn, was the baby of the Thomas and Nancy Johnson Castlellaw family and had a twin, Dora, who died either at birth on 12 Dec 1878 or as an infant. Their father, T. J. Castellaw died just a few months later, on 5 Mar 1879. 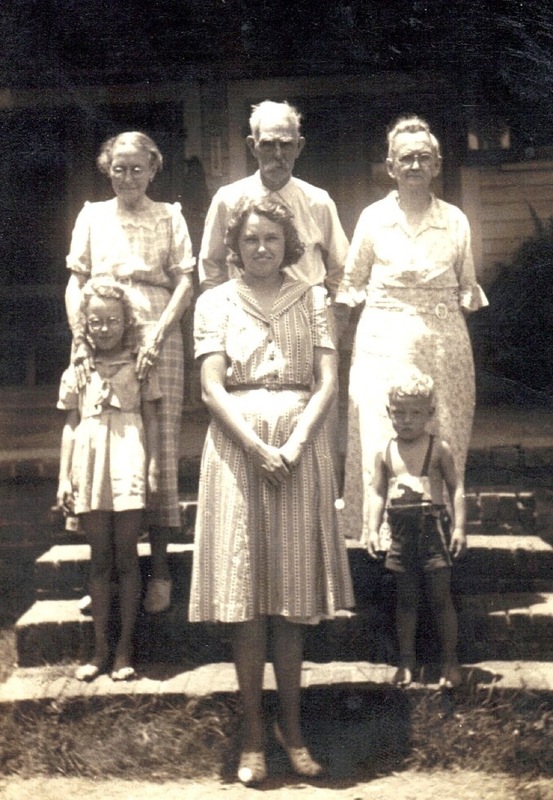 Nancy Johnson Castellaw was left with a newborn, Nora, and; Mary Jennie, age 16; Bob (my great grandfather), age 11; John Frank, age seven; Zach, age three; and John, age two. She later married T. J. 's half brother, John Edward Castellaw. John was no stranger to grief. His wife and three of his four children died within a few months of each other. This photo was likely taken in the mid to late '30s because John Hilburn, who was Nora's husband and is in the middle, died 23 Sept 1939. I checked his death certificate and discovered his address was 1089 Vollentine which is just minutes from my house. He died of a stroke at 3 am at home. John was born in Atlanta and his job, when he passed away, was listed as Section Foreman. "Mama as she was known to both her children and grandchildren decided on a (late November) day to burn the garbage. She did so wearing the typical attire for a woman her age......long skirted dress with petticoats......during the course of burning the garbage her dress caught fire and burned her badly. Her daughter Edith and granddaugher, Nora Joy arrived on the scene from a Christmas shopping trip in time to see her walk into the ambulance (she would not allow them to carry her into the ambulance). She died from her burns as she had swallowed some of the flames." Zach Fletcher Castellaw, the sibling on the far right, was born 28 Feb 1876. At age 19, he married Ida Bell Simpson. Ida's mother was Mary Ann Bell Watridge, a daughter of Daniel Washington Watridge and Mourning Adeline Cobb and a sister of my great grandmother in the photo, Zula. So, simply put, Zach married the niece of his brother's wife. OK, not so simple. According to Tennessee Century Farms, the farm Zach and Ida built is still in operation today. "Castellaw Corner Farm, located 5 miles north of Brownsville, was founded in 1903 by Zack Fletcher Castellaw and his wife Ida Simpson. The 1,000 acres yielded corn and cotton and also supported cows. The couple had six children. Their son Zack Thomas Castellaw was the next owner of the land, along with his wife Frances Bryant and their two children. The farm produced corn, cotton and cows. 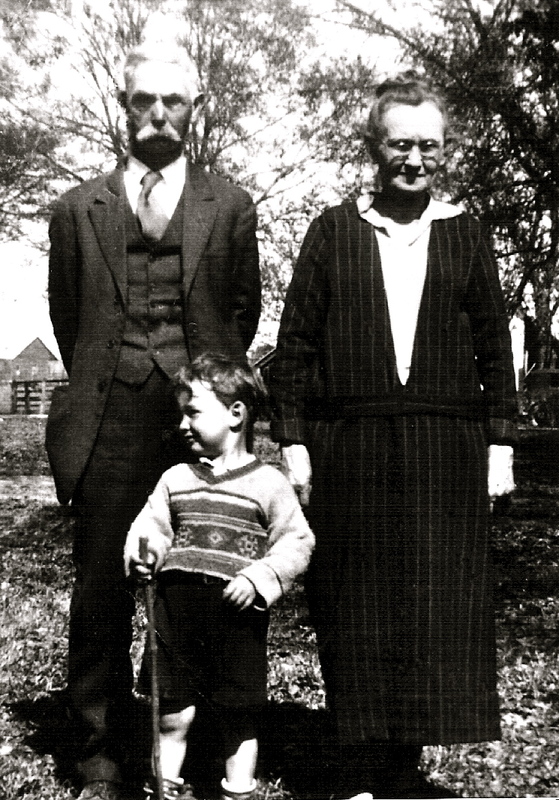 The current owners of the farm are Thomas Edward Castellaw and Betty Castellaw Sims. Mr. Castellaw, grandson of the founders, reports that a cotton gin and a commissary once operated on the farm and, before electricity came to the area, the house used carbide lighting. Describing his ancestors, one of whom was a member of the Haywood County Court, Castellaw notes the family was “known as hardworking, patriotic folks.” Castellaw and his wife Carolyn live on the farm today where cotton is the primary crop." Ida died 21 Jan 1919, at age 39, of influenza and small pox following childbirth. It appears the baby died as well. In the census of 1920, Zach is listed as a widow but living in the household with the family is a 5-year-old daughter named Flora. 10 years later, in the census of 1930, the only two living at home with Zach are Zach Jr., who was then 19 and Flora who was 15. Zach died at age 75 on 22 August 1951 in Haywood County. His death certificate lists his marital status as divorced so I assume he married for a short time after Ida's death and had the daughter, Flora, who appears to have stayed with her father after the divorce. But that is all unconfirmed yet. Everyone in the photo above is buried in the Holly Grove Baptist Church Cemetery in Haywood County. The oldest sister of Bob, Nora and Zach was Mary Jennie Castellaw. The way they are posing, the background and the ages would suggest that the photos were taken on the same day as the photo at the top of this blog. Jennie was born 19 August 1866. When her mother donated the land for and helped build the first schoolhouse in the Holly Grove area, Jennie was the school's first teacher. She married James Alonzo Jacocks in Haywood County. 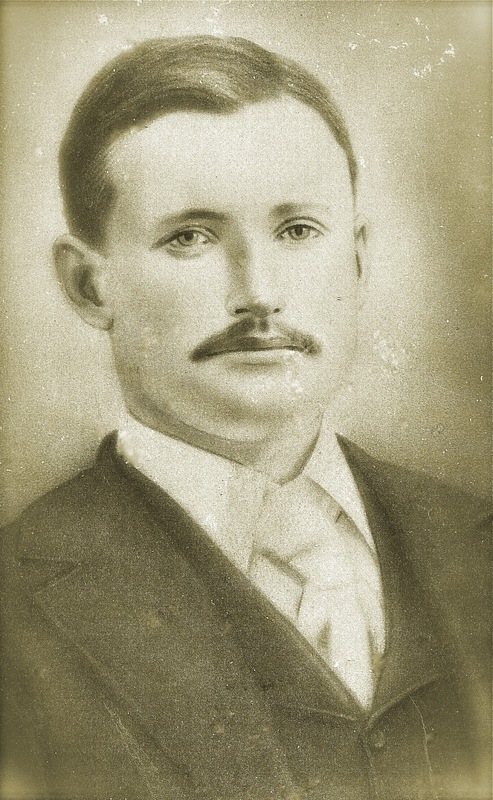 James was the son of John Hill Jacocks, one of the earliest settlers in Haywood County. By 1920, Jennie and James Jacocks were living in East Baton Rouge, LA. James died 11 Aug 1941 and Jennie died 23 Jan 1946. Both are buried in the Redwood Cemetery in East Feliciana Parish, LA, behind the Redwood Baptist Church. William Johnson Jacocks: b. 2 Feb 1898 - d. 20 Apr 1933 (married Carrie Lovelace, a daughter of Charles B. Lovelace and Nancy Jane Yelverton. She was one of my grandfather, Guy Lovelace's aunts and my mother remembers going to Louisianna to visit "Aunt Carrie"). For more blog entries, visit my Blog Home Page or the Haywood County Line Genealogy Page. I'm trying to tie my end of the Castellaw family to the rest in the blog. I'm from Crockett County and my grandfather was named Marvin Ridell Castellaw. His father was names Jim. My father called him Papa Jim when he was alive. He was married twice and had a lot of children, Algae the bootlegger in Johnson was Marvins brother or half brother.